AuthorMitaliPerkins: Advance Review Copies of TIGER BOY! Advance Review Copies of TIGER BOY! One of the exciting milestones in the birth of a book is the arrival of the Advance Review Copy (ARC) sent from the publisher to the author. This copy is sent to reviewers and some teachers and librarians several months before a book releases. It's the first time you see the story you imagined, then wrote, and then revised in book form, and it's a breathtaking moment. 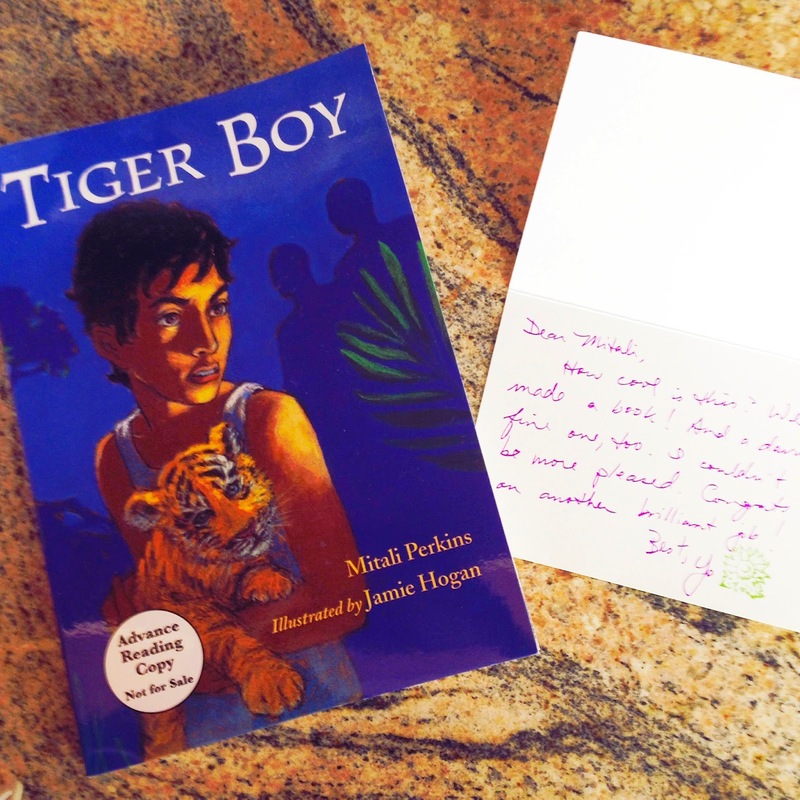 Yesterday, I got a copy of TIGER BOY (coming April 14, 2015) from Yolanda Scott, my editor at Charlesbridge, along with a lovely note. Now it feels real, friends. My next book! "Dear Mitali, How cool is this? We made a book! And a darn fine one, too. I couldn't be more pleased ... Best, Yo"